This battery normally ships via USPS Priority mail, with expected** delivery time of 2-4 days. MAKE SURE YOU USE A POST OFFICE DELIVERABLE ADDRESS! Customer will be responsible for shipping charges on returns for undeliverable addresses. 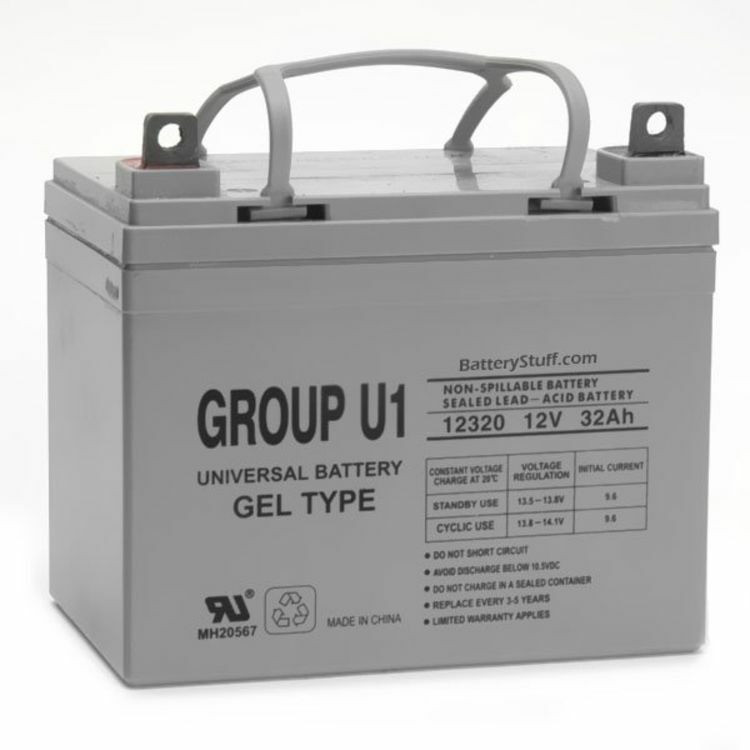 The UPG (Universal Power Group) Gel Cell Battery is a state of the art design battery made in Asia. This battery is a sealed (Non-Spillable) requires no addition of water during the life of the battery. Battery is TRUE DEEP CYCLE can be mounted in any position, requires no maintenance and may be transported by Air or Ground without any special handling regulations. When a Gel Cell battery is charged no hazardous fumes escape the battery case, gases are processed within the battery itself. **BatteryStuff understands the importance of getting a replacement battery right away. For customers that have ordered 10 or less of these batteries they will usually ships the same day via USPS Priority Mail if ordered before 1:30pm (pacific). The 2 to 4 day delivery time frame is an estimated only and is not a guaranteed as USPS does not guarantee delivery times with priority mail. Do you own the UBU-1-47604? Please, tell us what you think about it. It helps us provide you with better products. Please note that it may take up to 72 hours for your review to appear.